SYNNEX’ Global Microsoft Business Unit was formed in August of 2012 to exclusively serve the needs of our partners. Led by Rob Moyer, VP of Cloud and Mobility, and Darren Harbaugh, VP of Cloud Services, Microsoft & Emerging Solutions, this team of 20+ dedicated experts support all Microsoft partners. What do we have to offer? 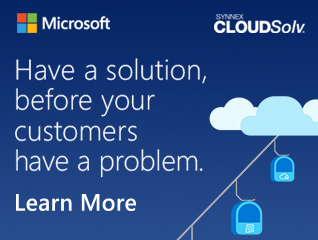 SYNNEX provides a fully dedicated and comprehensive Microsoft team to our customers. This team includes tenured product category specialists, retail specialists, business development reps, and qualified licensing experts, to name a few. Our full-time dedication to Microsoft as a business unit equates to better value for our customers as we are able to assist in making their businesses our business. In an effort to support our partners, SYNNEX’ tenured Microsoft Team provides several services. Download the team one pager to keep your US SYNNEX Microsoft contacts handy! Add MicrosoftSurfaceCA@synnex.com & synnexcanadamicro@synnex.com to your address book to keep your CA SYNNEX Microsoft contacts handy! SYNNEX also has the dedicated CLOUDSolv team that provides end to end solutions that our partners want to see and need. Contact CLOUDSolv at nicolek@synnex.com. To become a new customer — East of the Rockies, please call 855-899-0050. To become a new customer — West of the Rockies, please call 800-933-5974. The SYNNEX Microsoft Business Development Team along with the Telesales Partner Account Managers (TPAMs) can provide support and expertise in a number of areas. We offer web-based and live training in the areas of both Microsoft and SYNNEX programs. Additional tracking of status and certifications are available as well as other business reporting through the SYNNEX ECExpress portal program. SYNNEX has a dedicated marketing specialist team that handles all of the Microsoft business lines and supports resellers by offering incentive programs, webinars, training, assessment programs, and event opportunities.